It all began on a beach in Mexico. After years of working the corporate grind, Consuela founder, Conni Reed, found herself sipping a margarita, dreaming of something more. She wanted to experience the bliss of that beach in her work, not merely on a vacation away from it. She wanted to merge her passion for art and design with her goal to bring joy to others. She wanted to empower, excite, uplift. Friends had long since nicknamed her Consuela for her love of Mexico⎯a name derived from the Spanish word consular, which means to make better or console. As the name and the dream collided, it felt meant to be. In 2005, with a logo and a car full of handmade products, Consuela began. 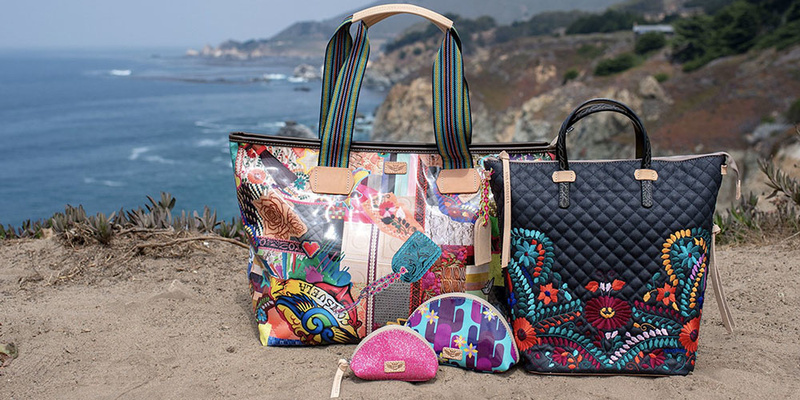 Since the brand’s official launch in 2006, Conni has grown Consuela into a complete lifestyle brand, offering quality fashion accessories and joyful vacation vibes all year round!